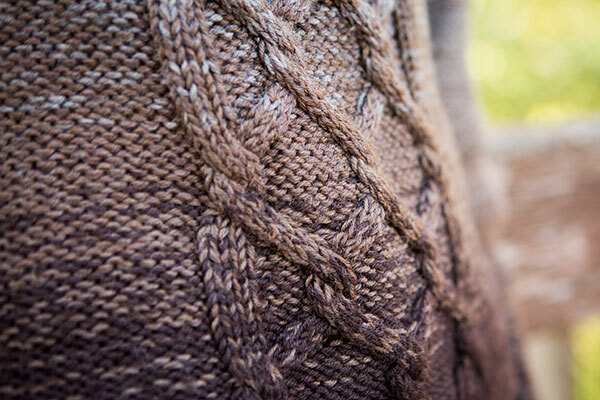 Cables and color gradients = a match made in sweater heaven! A wide, repeating diamond cable and a four-color fade feature in Allotrope. 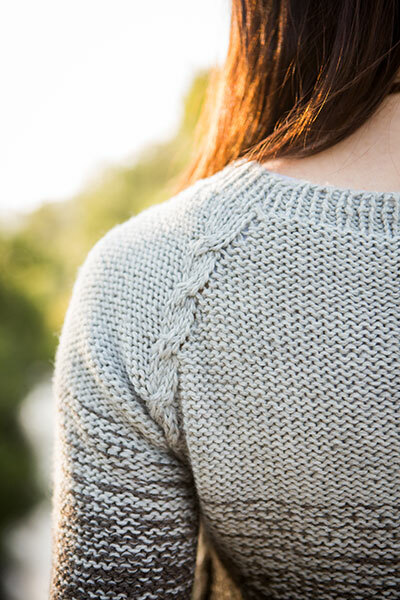 Knit top down, this loose raglan sweater is worked seamlessly in reverse stockinette with a split hem and extra-long sleeves. 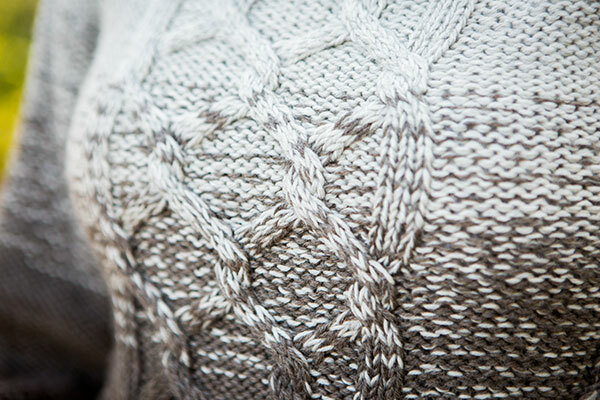 The pattern's bold and impressive, yet easy-to-knit cables shine in both the solid and color transitions. Sock yarn held double in alternating marled combinations subtly blend one color to the next in reverse stockinette.